The best German Language blogs from thousands of top German Language blogs in our index using search and social metrics. Data will be refreshed once a week. Also check out German Learning Youtube Channels. 2.9 Learn German with me! German Language newsletter is a comprehensive summary of the day's most important blog posts and news articles from the best German Language websites on the web, and delivered to your email inbox each morning. To subscribe, simply provide us with your email address. Germany About Blog Want to Learn German with Easy, Beginner Lessons? The GermanPod101 Blog is the place. You get FREE language lessons and learn about culture, food and more. Our mission is to make learning German fun and easy. Facebook fans 23,488. Twitter followers 6,899. Nashua, NH About Blog Transparent Language brings powerful, world-class language-learning technology to libraries, educational institutions, government organizations, corporations, and curious individuals. This blog is our place to share our passion for German languages and cultures. Facebook fans 210,626. Twitter followers 49,701. Berlin About Blog This is a blog for everyone who is trying to learn German. I offer an online-course, explain grammar jargon in an understandable fashion and I take a profound look at a lot of German words in the Word of the Day Section. Blog by Emanuel. Facebook fans 3,601. Twitter followers 56. About Blog The fastest, easiest, and most fun way to learn Dutch and Dutch culture. Start speaking Dutch in minutes with audio and video lessons, audio dictionary, and learning community! Facebook fans 6,047. Twitter followers 2,776. Nashua, NH About Blog Check out the Transparent Language Dutch blog to learn more about Dutch language and culture. Transparent Language brings powerful, world-class language-learning technology to libraries, educational institutions, government organizations, corporations, and curious individuals. Facebook fans 113,007. Twitter followers 3,703. About Blog The blog mostly contains video and audio to make German learning truly involved. Worksheets are also provided to learn along with the tutorial. Focus is on reading, writing and speaking of the German language. Facebook fans 7,982. Twitter followers 300. About Blog Learn German grammar and vocabulary through stories, songs, and grammar lessons from Herr Antrim from the YouTube channel "Learn German with Herr Antrim". Facebook fans 3,698. Twitter followers 3,353. About Blog FluentU brings German to life with real-world videos. Learning German becomes fun and easy when you learn with movie trailers, music videos, news and inspiring talks. Facebook fans 3,084. Twitter followers 4,315. 9. Learn German with me! Facebook fans 10,055. Twitter followers 1,989. Berlin About Blog This Blog is a revolutionary way of speeding up your German learning and to raise your motivation to learn the beautiful German language. Facebook fans 3,603. Twitter followers 1,726. Wiltshire, UK About Blog Blog by Angelika Davey who is a German tutor, translator & author, teaching German for all abilities to both the sector private and business. Facebook fans 1,474. Twitter followers 5,086. London About Blog We offer a wide range of language tuition for everyone wanting to learn German. The syllabi of our tuition are tailor-made towards your level, learning objectives, industry and profession. Facebook fans 8,710. Twitter followers 630. Offenbach am Main, Germany About Blog Our StoryPlanet blog is an exciting new resource for teachers and learners of German! You can find tips, tricks, progress reports and book recommendations. Facebook fans 148. Twitter followers n/a. London, England About Blog Olesen Tuition offers bespoke German lessons for all levels and ages. Whether you are an absolute beginner, speaking at an intermediate level or even working towards fluency, you will find the right kind of support here to learn German properly. Singapore About Blog This blog is empower German learners through short videos on grammar, vocabulary pronunciation and culture. Facebook fans 1,645. Twitter followers 25. 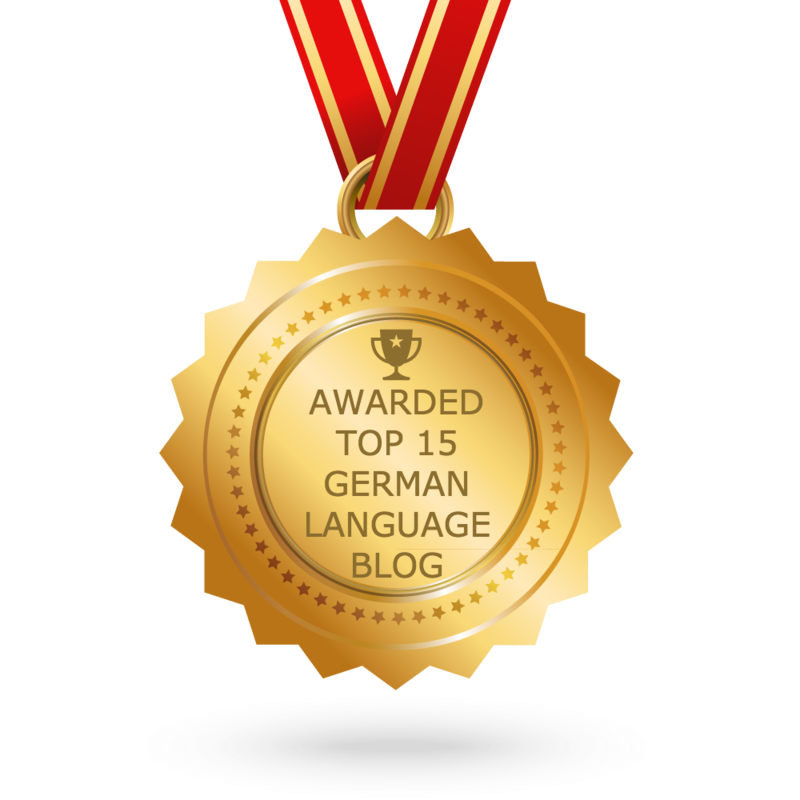 CONGRATULATIONS to every blogger that has made this Top German Language blogs list! This is the most comprehensive list of best German Language blogs on the internet and I’m honoured to have you as part of this! I personally give you a high-five and want to thank you for your contribution to this world.